You like to roll up your sleeves and you’re ready to get busy. The Minute Clinic is FREE and designed especially for people who need answers fast. 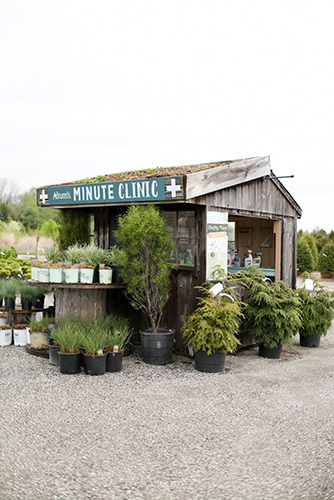 Stop in during normal business hours and one of our planting and design experts can give you help on the fly (first-come, first-served). What tree would work here? Empty spot you need to fill? Sick plant you’re not sure can be saved? Containers you need to fill this weekend? Bring some photos and let’s walk and talk solutions. You’ll leave armed with advice and the materials to get the job done.